Come meet OCEM Airfield Technology’s team at the Latin America Summit, Oct. 18 – 19! 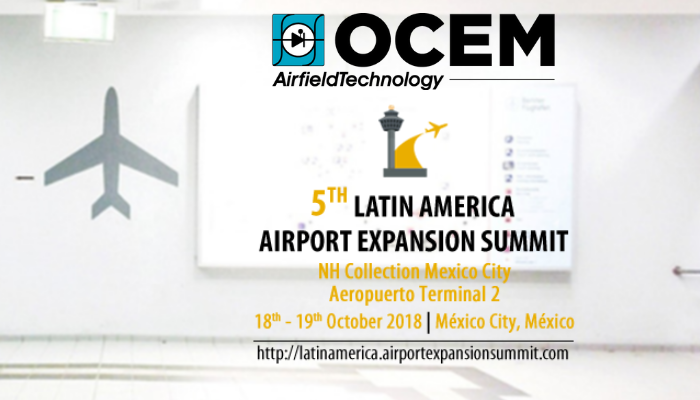 OCEM Airfield Technology is delighted to announce its attendance at the Latin America Airport Expansion Summit taking place in Mexico City Oct. 18-19. OCEM has been providing lights and power supplies to airports since the early days of the global aviation industry. Our strong market presence makes us a reliable partner and supplier to work with. Come meet our team at the Summit’s fifth edition, and discover for yourself OCEM’s cutting edge products and services! Thursday, October 18th from 8:00 a.m. to 5:30 p.m.
Friday, October 19th from 8:00 a.m. to 5:30 p.m.